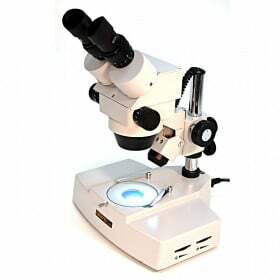 The OM-B10-L series long-working-distance (9 inch - 230mm) single-power stereo microscopes are ideally suited for rework of PCB components or detailed iphone repair. Available in 10X or 20X configuration, this stereo microscope body combines with a solid base and energy-saving 3W LED illumination for a rugged, cost-effective microscope for circuit board repairing, soldering and electronics rework applications. 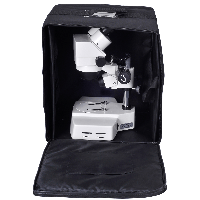 The microscope head is available with 1X or 2X paired interchangeable parfocal objectives set in a dovetail slide mount for secure, convenient viewing options. 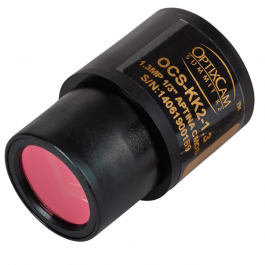 A 0.5X objective is optionally available and extends the working distance out to 250mm. 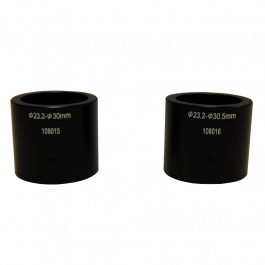 The 10X widefield eyepieces feature dioptric adjustment on the left ocular, and offer an interpupillary adjustment range of 55-75 mm to comfortably fit a wide variety of users. 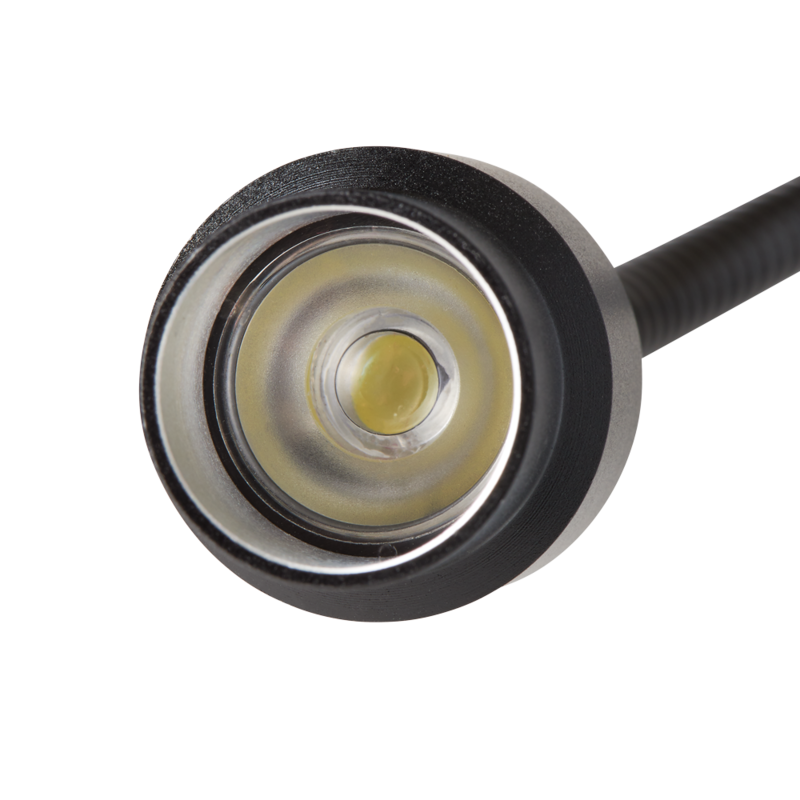 The integrated 3W LED gooseneck illuminator is 17 iniches long and includes a precision-ground lens for bright, shadow-free spot illumination. 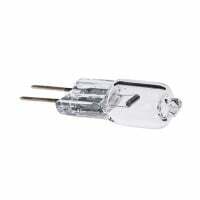 The energy-saving LED system is rated for 20,000 hours, lowering operating costs and making bulb replacement unnecessary. 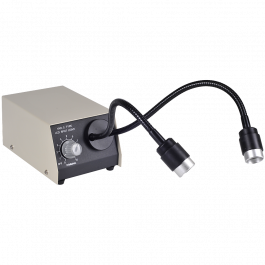 The power supply is rated at 110V. 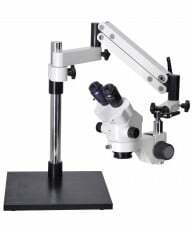 The single-arm stand features an 11.5 inch horizontal arm & focus block supported by a 13.75 inch vertical post and solid metal base. 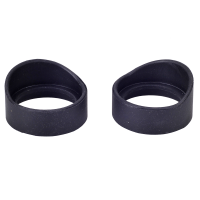 The combination allows a solid, wobble-free positioning anywhere within a maximum horizontal working radius of 15 inches. 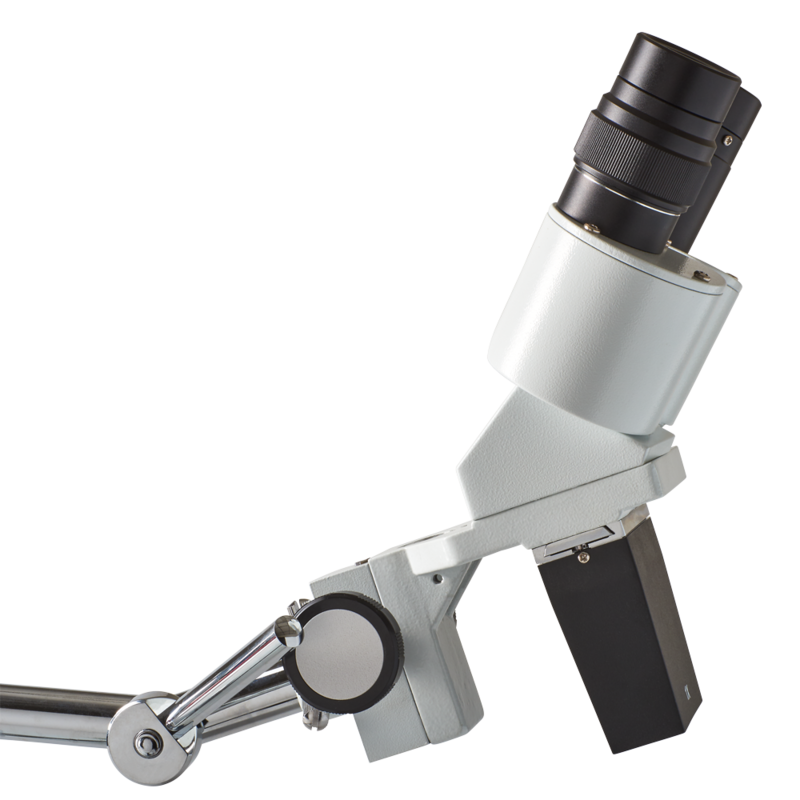 In addition, the arm features an adjustable, locking pivot point allowing the microscope to view straight downward, up horizontally 90 degrees, or anywhere in between. 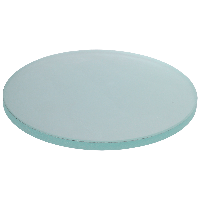 Base Dimensions: 5 inches wide x 2.25 inches tall x 7.25 inches deep. Shipping Weight: 17 lbs. 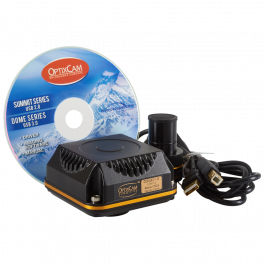 Accessories include a plastic dust cover, eyecups, fuse, wrench, grounded power cord and fitted Styrofoam packing. 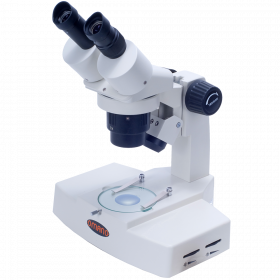 The OM-B10-L series long-working-distance (230mm) single-power stereo microscopes are ideally suited for inspection and rework of industrial components or quality analysis during manufacture and testing of medical technology products. 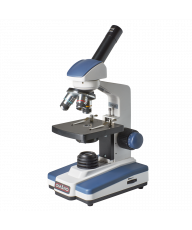 Available in 10X or 20X configuration, this stereo microscope body combines with a solid base and energy-saving 3W LED illumination for a rugged, cost-effective inspection station. 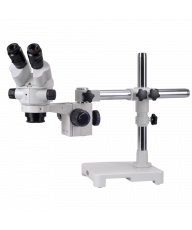 The microscope head is available with 1X or 2X paired interchangeable parfocal objectives set in a dovetail slide mount for secure, convenient viewing options. 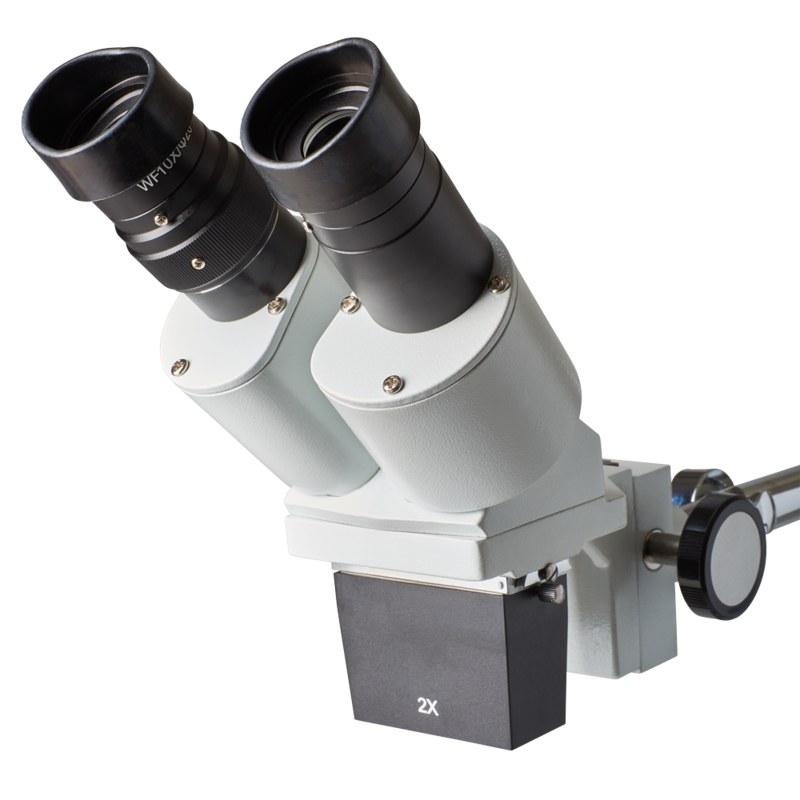 A 0.5X objective is optionally available. 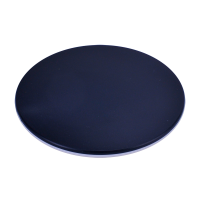 The 10X widefield eyepieces feature dioptric adjustment on the left ocular, and offer an interpupillary adjustment range of 55-75 mm to comfortably fit a wide variety of users. 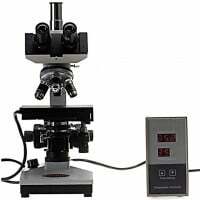 The OM-B10-L series long-working-distance (9 inch - 230mm) single-power stereo microscopes are ideally suited for rework of PCB components or detailed iphone repair. 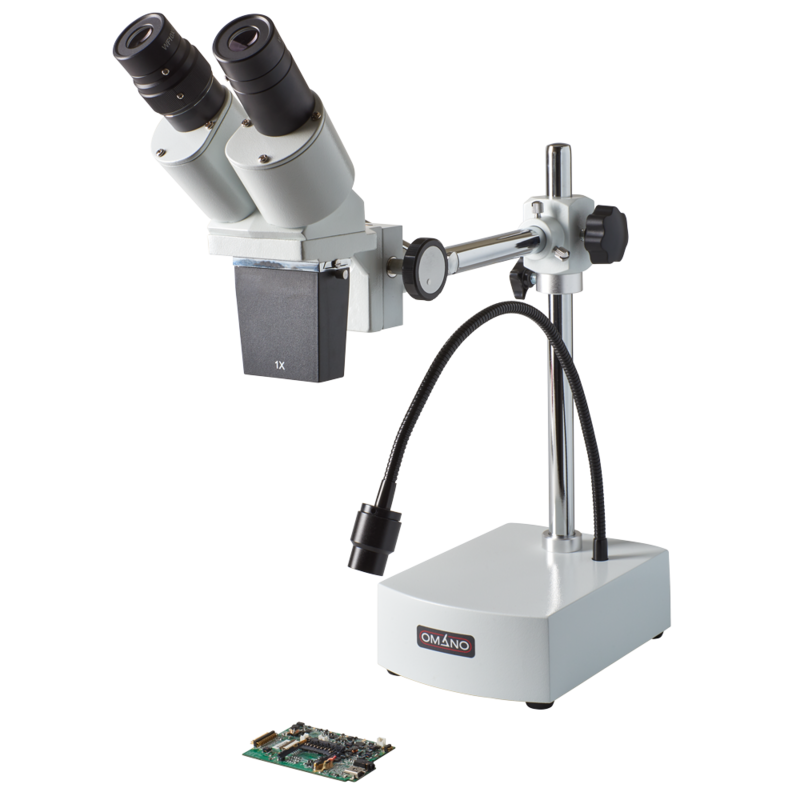 Available in 10X or 20X configuration, this stereo microscope body combines with a solid base and energy-saving 3W LED illumination for a rugged, cost-effective microscope for circuit board repairing, soldering and electronics rework applications. 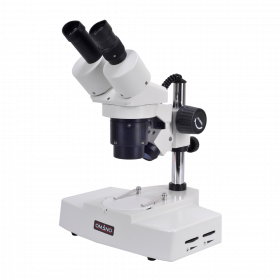 Microscope HeadThe microscope head is available with 1X or 2X paired interchangeable parfocal objectives set in a dovetail slide mount for secure, convenient viewing options. 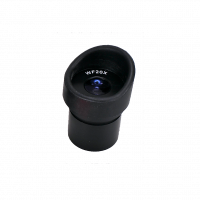 A 0.5X objective is optionally available and extends the working distance out to 250mm. 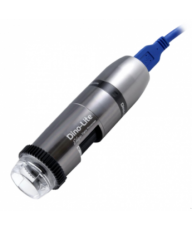 The 10X widefield eyepieces feature dioptric adjustment on the left ocular, and offer an interpupillary adjustment range of 55-75 mm to comfortably fit a wide variety of users.IlluminationThe integrated 3W LED gooseneck illuminator is 17 iniches long and includes a precision-ground lens for bright, shadow-free spot illumination. 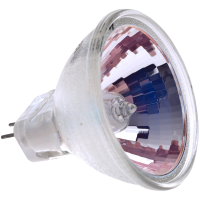 The energy-saving LED system is rated for 20,000 hours, lowering operating costs and making bulb replacement unnecessary. 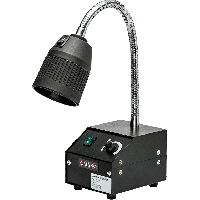 The power supply is rated at 110V.StandThe single-arm stand features an 11.5 inch horizontal arm & focus block supported by a 13.75 inch vertical post and solid metal base. 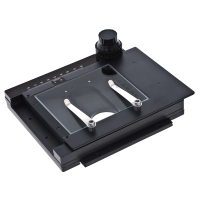 The combination allows a solid, wobble-free positioning anywhere within a maximum horizontal working radius of 15 inches. 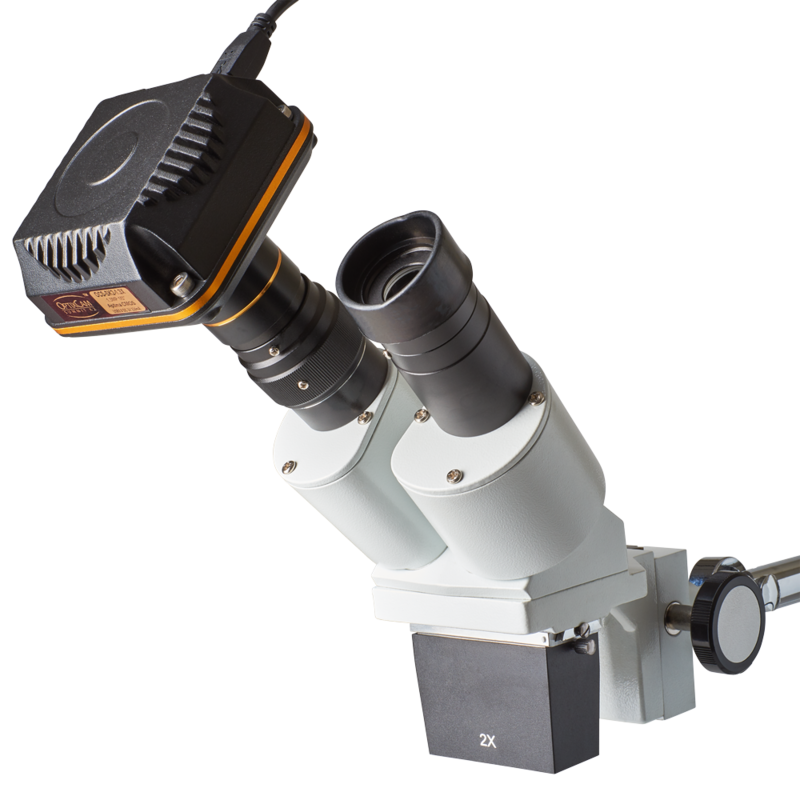 In addition, the arm features an adjustable, locking pivot point allowing the microscope to view straight downward, up horizontally 90 degrees, or anywhere in between. 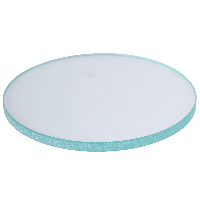 Base Dimensions: 5 inches wide x 2.25 inches tall x 7.25 inches deep. Weight: 17 lbs. 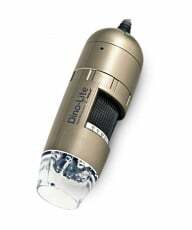 Accessories include a plastic dust cover, eyecups, fuse, wrench, grounded power cord and fitted Styrofoam packing.